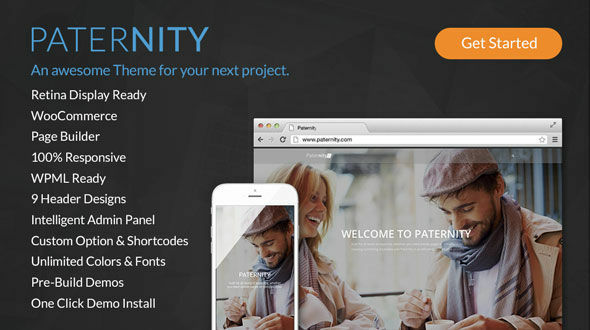 Paternity is a premium wordpres theme Built with the features you want, and the flexibility you need and the support you deserve, Paternity is a perfect fit for your next project. The clean multi-purpose design can be used for any type of website: business, corporate, portfolio, blog, products, etc. 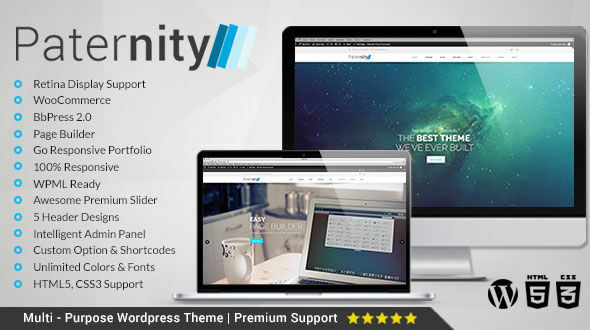 25+ Pre-configured Page Layouts for Home, About, Service, F.A.Q., Pricing, Jobs, Portfolio, Features, Contact and more!